1-1/2" x 1-1/4" unruled blocks. Six-month calendar reference and space for notes and future planning. Organize your schedule and learn how to help take care of our environment. Features tips for "green living" displayed every month. 1-1/2" x 1-1/4" unruled blocks. 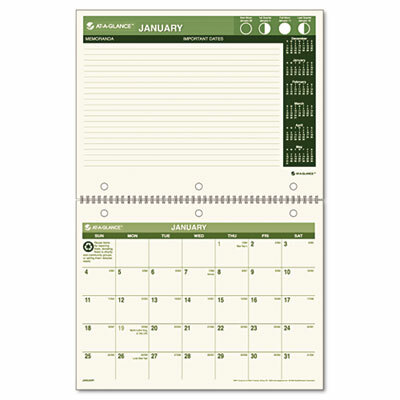 Bonus page has a six-month calendar reference and space for notes or future planning. Wirebound with hanger.